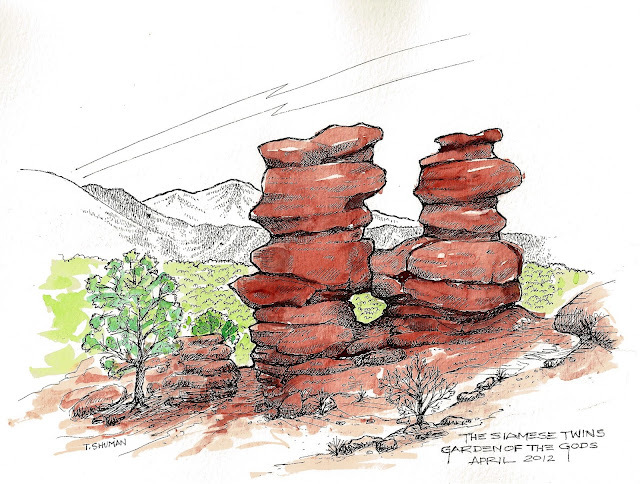 My wife recently discovered this "twin" formation in the Garden of the Gods Park. She led me to this place and I knew I had to sketch it. I'm taking some risks here and trying to figure out how to watercolor. I have a long way to go before I am completely satisfied with this medium. In the meantime it's a good way to unstring the bow.